Although she’s only 4 years old, “Moonshine” is showing her age. Her strawberries have begun to fade and the yellow wall is peeling behind her back, encroaching on the fruit-filled jar where she rests. Perhaps a little cosmetic surgery is in order? But the red bow and her blue hair are just as vibrant and the overall effect just as oddly surreal. 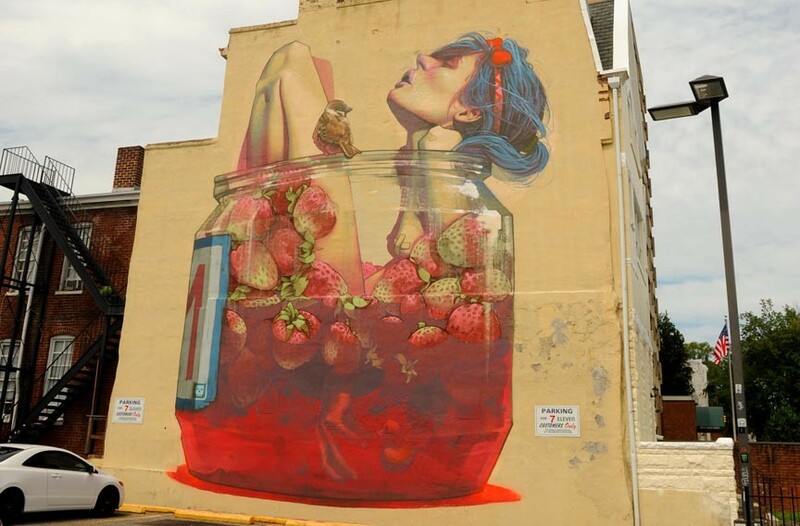 Apparently that was enough for Richmonders to look past the anatomically impossible length of her legs and the painfully angular knees to once again vote it their favorite mural.